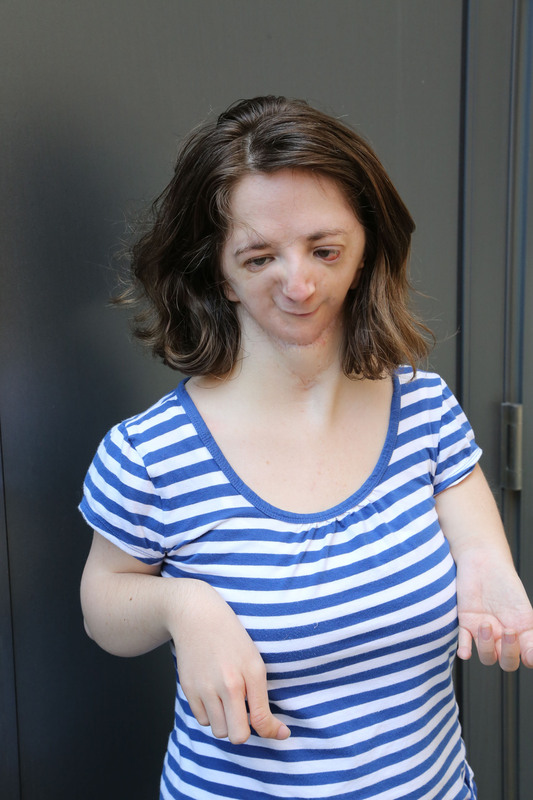 One day, when I was around around 15 years old, my Mom was surfing around the internet, curious to see if there was anything out there about Nager Syndrome, since finding that sort of thing on the internet was something fairly new to us. She came upon a website called FNMS.org . 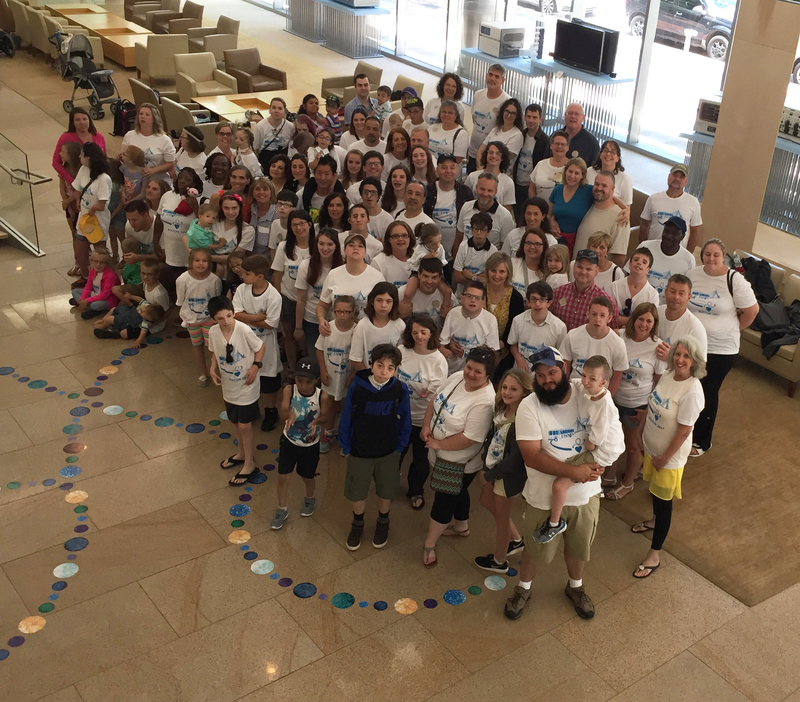 We were all surprised to find an actual group on such a rare syndrome. The only other person I ever met with Nager Syndrome, that I can recall up to that point, was a child much younger than I, in a waiting room at a hospital, called “Children’s Hospital of The King’s Daughters“, in Norfolk Virginia. We had been seeing a plastic and craniofacial surgeon there by the name of Dr Magee, co-founder of Operation Smile. He was a very nice man and I liked him very much. He helped make a difference in my life, even if the last surgery he helped perform with another surgeon did not end up well. 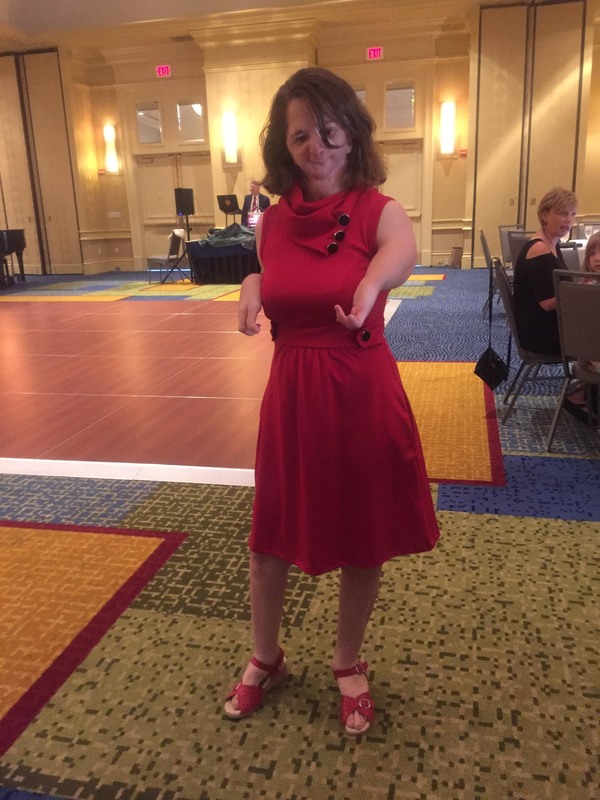 Mom spent a lot of time talking to the founder of Foundation for Nager & Miller Syndrome. Margaret was extremely supportive and happy to help us be part of the FNMS community. When I was 17 years old, the next conference came closer, and we both went together to Atlanta, Georgia. That years conference was held in combination with Children’s Craniofacial Association, the organization Cher helps support. For either organizations, the conferences are held at a different place around country, about every other year. I remember not talking to too many people, because I was still an extremely shy person. But I did open up to just a few. And I do have a few memorable moments. It was during dinnertime and there were a few guest speakers discussing life as someone “different” and their life’s stories. I remember a man describing how he met his wife and I remember listening very intently and curiously. His name was David Roche. 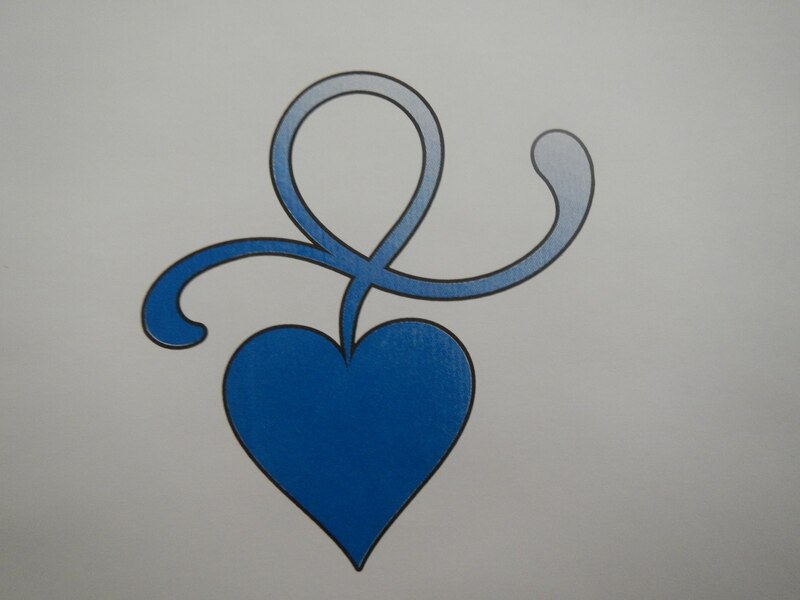 David helped start something called “Love At Second Sight”. I think it was inspired by how his wife initially responded towards him when she saw him for the first time, and then fell in love with him at second sight. Another highlight of that evening was meeting a very special guest. We all were not sure if she would really come, but Cher did. And Cher was extremely kind and gave her time to each table and person who wanted to meet and talk to her. My mom and I were sitting with a group of other ladies with their kids and Cher came over and sat between my mom and someone else. What’s funny is everyone was too nervous and star struck to talk to her… except for my mom, who asked her all sorts of questions (no, I don’t remember what questions they were). Mom spoke to her like Cher was any other person. Cher was not dressed up as a performer and it was nice to see her *normal* side. And she’s much smaller in person. 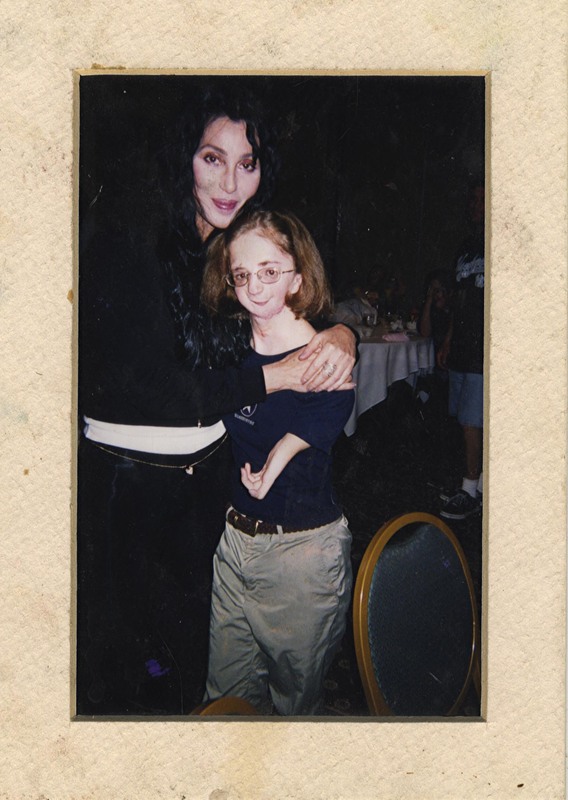 In the end, I got arm in arm with Cher as we got our photograph taken together. And that was so cool. Then before we all knew it, she disappeared and was never seen again at the conference that year. It was a very interesting experience. Mom and I talked about it a great deal afterwards. We kept in touch with FNMS and some people from CCAKids, and, after a long while, life went on. I could no longer remember everything that happened or everything I felt or thought, as it usually happens with time passing further away. Sixteen years have passed since then. FNMS continued having their own conferences every other year in different parts of the US. Then the 2017 conference was coming up and it was to be held in of all places, Boston, Massachusetts. Up to this point, I pretty much chose not to go to the conferences. Not because I wasn’t entirely interested. I think it was in part because I was still lost in my own world of trying to figure out life, the future, goals. I kept making excuses whether they were legitimate or not. But now, there was no way I could say no, considering it was only one state away from where I live, in New Hampshire. And so I went. Except this time I was there by myself. My Dad drove me to the hotel and left after saying his hello and goodbyes. As much as people were concerned and felt a bit sorry I didn’t come with any other family members or friend with me, I honestly did not mind and completely understood why no one chose to come with me. Basically, I’m an adult. I don’t need my mommy or daddy tagging along with me for a trip. If I can have that opportunity to have that bit of independence, then I will have it. That’s not to say I never want to go with anyone ever on any trip. But just this once at least. Usually when I am with someone, people talk to that person over me, whether it is a discussion about me or not. My family is very sensitive to that and wanted to give me that sense of confidence to handle things on my own. I appreciated that. It can be very easy to just let someone else do the talking for you if they are right there. I feel that because my parents weren’t there, adults paid more attention to me and what I had to say. 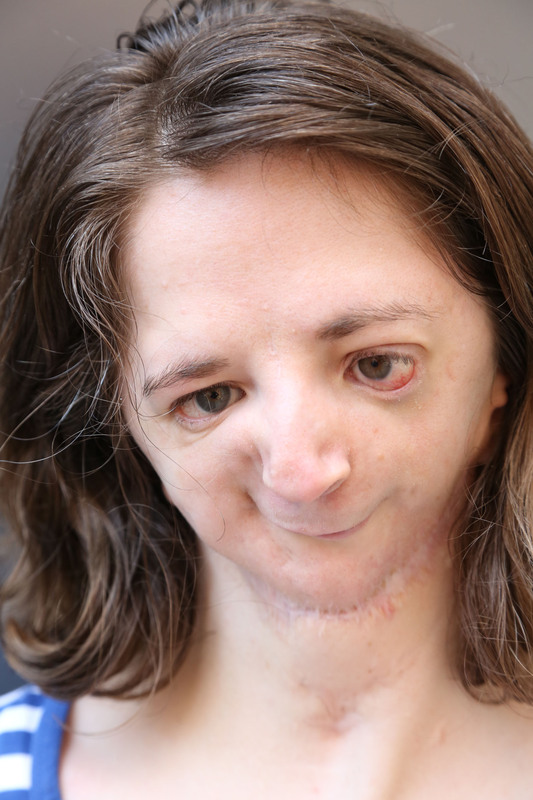 Kids saw me as an adult with Nager Syndrome on her own. Maybe that makes a difference in some way. Rather than give you an overly in-depth review of the things that happened (I’ll admit it, I started to do that when I realized………. who the heck will want to read that?? Go ahead, laugh :p), I will give you the highlights and my overall thoughts on things that stood out to me and what I took away with it. When I arrived that first evening, I had a sense that this was somehow going to be an important conference. Over the past 16 years I’ve gone through quite a bit and have changed quite a bit. This seemed like the next step into something new in my life. It felt so strange seeing the younger kids with Nager & Miller Syndrome, mostly Nager, all in one big room. It brought me back to my own childhood and the things I experienced then. It gave me the chance to reflect on it a bit more than usual. The first highlight for me would be sitting in for the geneticist researchers. That was purely optional. You either attended that, or hung out with the others playing with toys, or doing arts and crafty things. I had never been to a geneticist discussion before, so I sat in for it. It was pretty interesting. A lot of technical talk about how they found the genes for various genetic conditions and their goals and where things are for Nager and Miller Syndrome. I’m not sure I’d sit through another one, but I’d be happy to hear updates on them finding anything in relation to the syndromes. My impression of one of the lead doctors/researchers of the Syndromes that led the discussion, was that he spoke to us like we were all children rather than adults having the ability to understand. But I do know he was given business cards and websites to check out by some people who were born with either Syndromes (myself included). And I think now he has a better understanding just how different we all are. Some have intellectual challenges, some not so much. It can be easy for many to assume that is part of the Syndromes. Another event that stood out to me at the conference was a documentary that we watched called Logan’s Syndrome . He and his sister were both born with Miller Syndrome, which I think is even more rare than Nager Syndrome, which is saying a lot. It was, and is, a really good film. It struck me with how different perspectives and upbringings can shape our outlook on life. Not everyone has that strong support group or strong family ties others might have. Thankfully times have changed since the 80s/90s and there’s a better support system around. But I just can’t imagine my Dad doing what his dad did. I think that was the saddest part of the documentary. Logan’s Syndrome recently won the award for best feature documentary at the Carmel International Film Festival, so it’s awesome to see the word getting out about Logan’s Syndrome. If you can get a chance to see it, I highly recommend it. Me with Bridget (Left) and Erica (Middle). Bridget and Erica were both born with Miller Syndrome. There was a trolley ride around Boston that was pretty fun. It was neat seeing certain places of history. The only downside to the ride was that it was sort of difficult to hear what the person over the intercom was saying, thanks to some teenagers who were chattering about whatever behind me… I have a hearing aid that hears everything all at once so that was hugely distracting. And slightly annoying. But I just listened to the guy talking about history as best as I could. The teens weren’t aiming to be distracting, so I don’t blame them for being teens hanging out together. I found the ride on the way back to the hotel to be a bit more pleasant, personally. On the last night we had the annual Dinner Dance. It was pretty fun. Food was delicious and desert was a chocolatey goodness. One of the adults, born with Miller Syndrome, performed a few piano songs and it was really great to listen to him play. One of the songs David Gonzalez played was dedicated to the founder of FNMS, Margaret Hogan, who passed away a few years ago. They had a DJ who was okay. He played a lot of music I don’t think most kids knew. I didn’t know half of the songs and well… I .. I think some DJs think they have to be *EXTRA* kid friendly to us sensitive delicate people. It was slightly hard getting in the mood to let loose ha. But not only that, I feel supremely awkward dancing in public. I wouldn’t even call what I did on the dance floor *dancing*. Just swaying back and forth in all awkwardness. But I know part of that is because when you dance, you truly express yourself openly. So far, I feel most comfortable when my cat is my audience haha. I do love to dance when the song moves me right. I don’t know, maybe someday I’ll push myself out there. 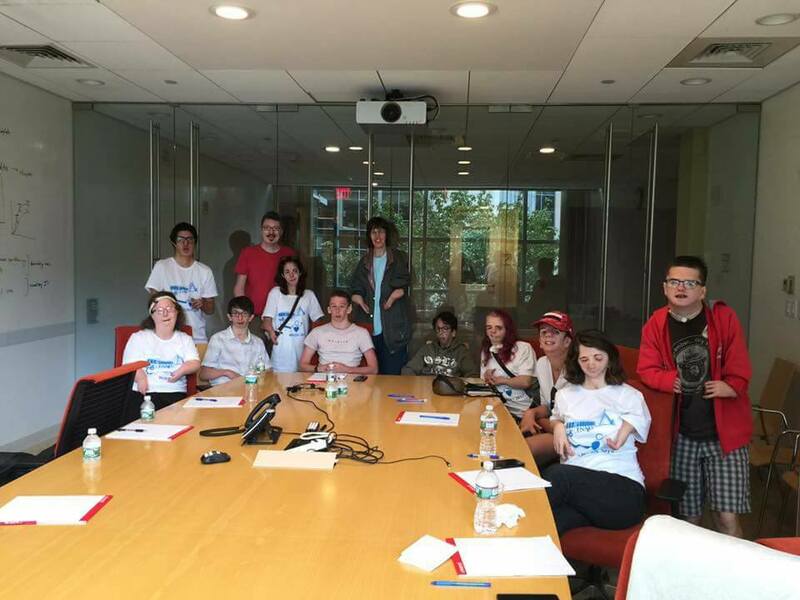 There was a group discussion for teens and adults with the syndromes to hang out and talk away from everyone else. The point of it was to talk as openly as possible without worrying about what others without syndromes, others like our parents, thought. We could talk openly about things in our lives. It was interesting. Slightly nerve-wracking though, because we were in a white meeting room with a large table and swivel chairs, and everybody… most people, were pretty shy and quiet while letting the social worker do most of the talking. I’m not sure having a social worker there helped as much as the people who planned it thought it would. I think it only made people clam up more. Myself included. I do better one on one. Bigger crowds just depends on the atmosphere and who they are. It almost felt like we were in high school having a special meeting instead of simply hanging out in a relaxed chill-out room just talking to each other about life. It didn’t even have to be the kind where one person at a time talks. I think that’s a bit too intimidating for people who are typically very shy around strangers. Even with all of that criticism, I think we all got something important out of it. I know I did. I came away with a new sense of understanding that, the way I am, is not so unusual as I thought it was. I am slow at getting things done and accomplished. It takes longer for me to do things. I can’t help it. And that’s okay. Because I am not alone in that. It is a common thread among us. Another common thread is how quiet our voices are. Some of us even sound kind of similar. Many of us tend to write things down by pen and paper or by phone or tablet. Most people used their phones. Phones and tablets are so much nicer to use than the clunky communication devices because they are small and common in life. I tried using a communication tablet device when I went to college in the first half of the year. But I just couldn’t see myself lugging that heavy thing around, along with my art books and supplies, when I could just write it down faster (this was before I got my own phone, and even now, I go back and forth between phone tapping or writing on paper). Many of us have a similar way of walking and moving about. We have different arm lengths, shapes, and finger digit numbers. Some are not affected as much, while others are mild to greatly affected. Those of us who are mildly to greatly affected are always looking for the easiest, quickest ways of doing anything in life that many would find quick and easy. Many of us had food texture sensitivity. Most of us couldn’t handle hard or crunchy food. In fact, one thing I quite enjoyed about the conference was the type of food they offered. Most of it was soft food. There was some crunchy, but most of it was soft. I thought I was being overly sensitive and picky at home because there were just certain types of textures that I just do not feel comfortable eating even if they are soft. But after the conference, it felt, I guess, natural, or normal. Many of us struggled with how to make friends or how to deal with people who stare or gawk at the way we look. We realized… I realized, that we are more alike than we realize. But we are also our own unique selves. Since the conference ended, we have continued communicating with each other. There was one last thing that seemed to be a common thread that I didn’t see until someone pointed it out at the last dinner. Many of us born with Nager & Miller Syndrome have that creative heart. Whether it be in music, dancing, singing, writing, photography, or painting/drawing. I think part of that reason is the desire for people to see far beyond what they initially see. I know for me, growing up, I always used my artwork as a gateway to open a dialogue with anyone who was interested in talking to me. Doing that enabled me to open up more easily. Although I did go through a period where I was tired of using my artwork to *prove my worth*, because I felt like I was more than just how amazing it was that I could do this sort of artwork, given the way I look to people. I had to learn to let that go and to stop concerning myself with what others think of me or my artwork so much. Eventually, I did sort through that and now I am back to enjoying and sharing a passion and love for what I can do with the world around me. It is also another way to express what is it in my heart. Finally, what I came away from the conference was that we tend to try so hard to be *normal*, like every one around us, that we feel like the awkward person in the room, or family. But when we reach out to one another, or get to know someone born with something similar to yourself, you realize you don’t need to try so hard to be something you are not. Do what you can with the best that you can, and don’t stress out over it. Sarah, You are an amazing young lady who I have the privilege of calling my daughter. I love you so very much! Thank you for posting this! I so enjoyed reading all about your experiences. I identified with you a lot! I also do better one-on-one, as opposed to crowds, or especially speaking in front of a large group. I was probably ‘pathologically’ shy as a child. My childhood home was a mixture of loving and fun -along with volatile and scary at times. I did not have the demonstrative love/affection and support that i surmise you have had. I was very self conscious. I had low self esteem and still battle with some level of insecurity – even in my adult years. The mind is a battlefield. You seem to have conquered what many are still fighting. My impression is that you have a MOST WONDERFUL LOVING Supportive family – BIG TIME!! That you have had some hard times, yes, but you to me appear very strong, secure in yourself, as well as very talented/gifted. I have been in complete ‘awe’ of YOU – along w your artwork, which i see via our connection, on facebook. My husband Paul, and I were introduced to you maybe about 9 years ago, at our friend ‘Donnalee’s house, during a Bible study, BTW. The way you express yourself is also wonderful! Have you ever thought of becoming an author? Maybe you could write and illustrate books? I hope we get to meet again. I wonder if you are interested in perhaps becoming an author, if we could talk sometime. I am obviously so impressed by not only what you have already accomplished in life, but by WHO YOU ARE. I wish i could be half the person you ARE. What an insightful and inspiring blog post. Have you considered posting this on LinkedIn too? With your insights, intelligence and leadership my hope is that some of these organizations and researchers will identify you as their spokesperson. Also, you are in a great position to help the younger people who are trying to figure out life on this journey. God is using your voice already in a mighty and powerful way. You are the bravest woman I know! Wow Sarah! What an eloquent and articulate blog! I am truly impressed by your artwork and writing. You are definitely blessed with talent! I love reading your Mr. Rain stories but this particular blog really reached deep inside your psyche and gave me a glimpse of the real you.i believe each of us are like books, we can’t know what the book is like just by the cover, we have to open the book and spend some time with it before we can know what it is really like. Same with people, give each other a chance to open up an spend time with someone so you can really get to know them. Everyone has a story to tell and you can bet it will be interesting! Thank you so much for opening your book cover and sharing some of your story with us! The more I get to know you, Sarah, the more I really like you. Thank you for sharing this part of your life with us! You are an excellent writer and a talented painter! Happy New Year! What an amazing article! You are beautiful inside and out, you are an amazing artist and writer. Thank you for sharing such personal things and giving such insight, also a side note I love the red dress you wore to the dinner dance looks great on you, red is your color. Happy New Year, and thank you for such a great read.